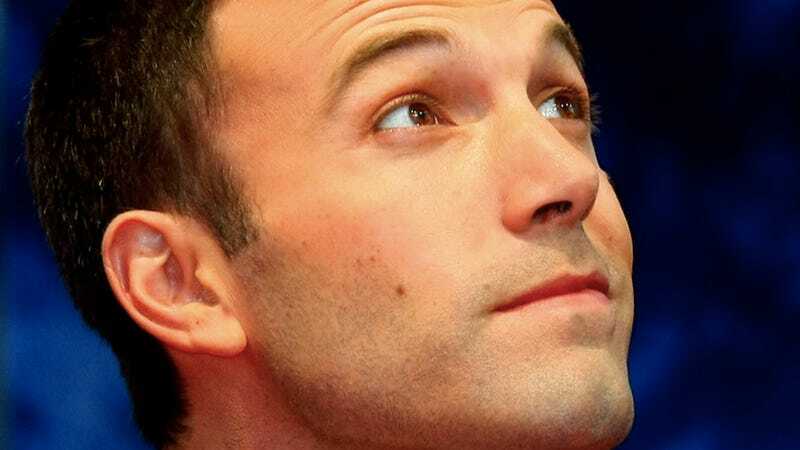 Hey Ben Affleck, This Movie Sounds Stupid! Ben Affleck is in negotiations to star in thriller Line of Sight, which will be produced by legendary action flick producer Joel Silver. Okay, so far, so good. The movie follows an elite group of commandos transporting cargo and dealing with a global threat. That's kind of vanilla, but maybe they'll make it work. Here's the deal breaker: According to Variety, "One of the conceits of the movie is that it tells the tale from a point-of-view akin to a first-person shooter game." The script was originally penned by F. Scott Frazier, who worked in the game industry. Peter O'Brien, who wrote Halo: Reach, recently did a re-write. See where this is going? Just when you thought Hollywood could not screw up video games more, it cooks up a flick that borrows the look of first-person shooter, yet casts aside everything that makes FPS games fun—you know, the game part. Who the heck wants to watch a FPS? But maybe the vanilla sounding Line of Sight needed a gimmick, and that's exactly what it sounds like this is. How about making one of the conceits of the movie an interesting story, sharp dialogue, and memorable characters? Just a suggestion! Affleck is currently "in talks" to star in this flick, and I haven't read the script. Maybe it's great—it doesn't sound great, but maybe it is. The hang up is using that FPS point of view; the Doom movie did that. Other, better movies like Existenz and Run Lola Run have incorporated video game elements into something fresh and original—not simply stolen artifice. Ben Affleck, there's one word of advice for this project and it's "don't".